What Exactly Is a Residency Letter of Interest and How Exactly Could One Use It? The reality is that there are often a lot of people who are showing an interest in a specific position and the process of sifting through large numbers of applicants could take a considerable amount of time which means that you have no choice but to remain patient while all that applications are being processed. Under those circumstances, a letter of interest could potentially strengthen your case and keep the employer mindful about your interest in the specific position. You never know you might have been number 11 or 12 on the list of most qualified candidates and now because of your residency letter of interest as well as with residency letter of recommendation you are suddenly able to move up three or four spaces which qualify you for an interview. The letter of interest residency sample should be broken down to the introduction, body, and conclusion. You must discuss in details your career goals, accomplishments and professional achievements and state how it contributes to making you an important part of the institution. You can be as precise and concise as possible to say everything you intend saying in one page. Provide specific details about what you will bring to the institution if considered for admission. Mention the key attributes, skills and anything you have learned in other programs and community service. Do an elaborate but relevant introduction of yourself and dwell more on the areas that relate more to the current program you applied for. Help the reader appreciate why you should be invited as a part of the program. Mention those things that make you unique for the program and past experiences you can draw from to climb into a more advanced program such as this residency one. Do not write vague statements such as, ‘I am the best for the residency program because of good grades’ or ‘I stand out from the crowd’. Instead use instances, qualities, and skills to explain how you would be the best option for the institution. Always make reference honestly to the fact that this current program you have applied to is your first choice for the residency program. Most institutions give more preference for applicants who chose their institution as the first choice for the residency program. In order to keep your original applications within an acceptable size, there are often many things regarding the available opportunity which you were not able to include in your original application. Therefore the long waiting period until you are eventually informed about your possible success in obtaining this position could be put to excellent use and it will give you an opportunity to write an effective residency letter of intent that subtly inquires about the progress in the application process and while at the same time using that opportunity to elaborate in greater detail exactly why you are passionate about this opportunity. 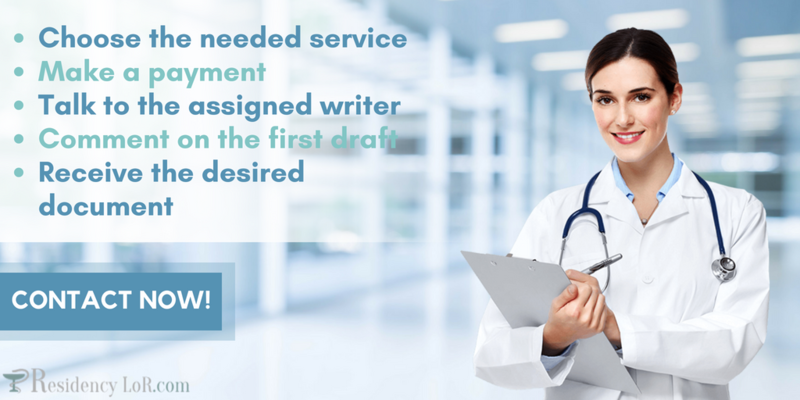 Get our top-quality assistance writing an excellent letter of interest for residency today! 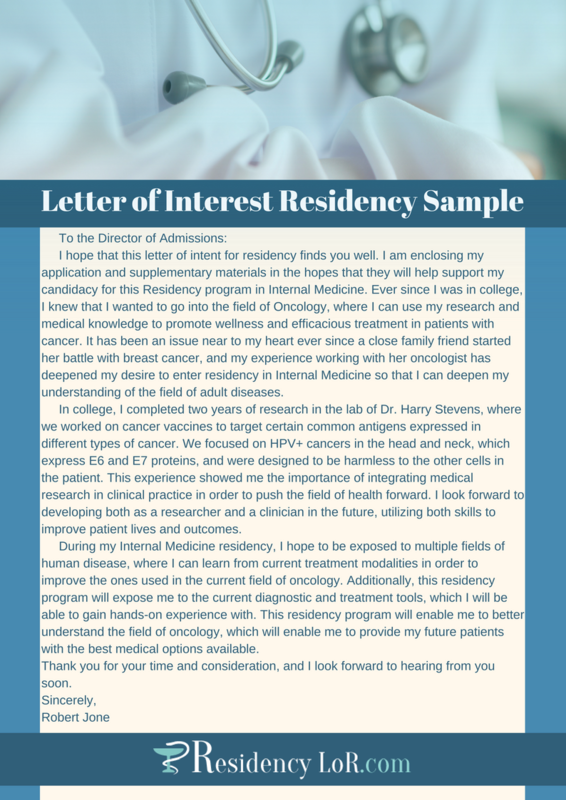 How Effective Should Residency Letter of Interest Be? Naturally this will only to apply to those applicants which possesses the required qualifications and experience but in reality it will do very little for a candidate which are not already among the top 10 candidates for that position. Naturally, this does not mean that you should not take a shot with such an interest letter since you never know what can happen. When writing the letter it must focus on your goal for residency and eventual practice. Write about your skills and experiences and they can help you fulfill your overall goals for a residency program. Talk about how much contribution and learning opportunities you can harness from the residency program. Write about the reasons for the residency program and institution of choice. Provide a detailed couple of sentences about the residency program and how it can help achieve your overall aim in the long term. Introduce discussions about your childhood experiences in some few sentences or paragraphs. It can also include talks about your personal experiences with pre-pharmacy programs. When writing the letter of intent you can write using the normal essay writing format. Include the introduction, body, and conclusion. Remember to write using the usual manner for addressing a letter by including the date at the top and the residency program address at the top left corner of the letter. Include an opening salutation and then move straight to establish your intent from the first paragraph. Your intent must be clearly stated and what your experiences have been with the current residency program or persons within the program that could give some credit to your admission interest. The letter of intent should not span more than one or two pages at most. Before ending the letter remember to express your appreciation and expectations for a favorable response. Write in an enthusiastic tone and in a manner that displays how much you believe the residency program would eventually impact on your goals for medical practice in the long term. End with a salutation and your name at the bottom. Endeavor to describe and show the committee how your skills and achievements will impact your overall goals using examples and more to back up your claims. Avoid been verbose or ambiguous by been precise and concise in your summations. Do not try to fill up space with irrelevant information just to make the letter lengthy. When Will Be a Good Time for Such Residency Letter of Interest? When a week or two has passed and you know that the closing date for applications are not far away and you still have not received a reply although you are aware that some people have been invited for interview. In this circumstances if you are really interested in the available position you could try such a letter of interest where you share exactly why you are having a passion for this specific field of specialization and why you feel that you will be able to make a substantial contribution to this field. For better understanding you may check our sample LoR residency. Such a residency letter of interest gives you a 50-50 chance of success which might just be able to give you the necessary advantage that you were seeking. A letter of intent is not an avenue to plead with the committee to accept your interest to enter into the residency program. It is an opportunity to display how relevant your experiences and skill can make you to the institution. Exude enough passion for the institution and residency program. Learn enough about the nature of educational and career development the program can offer so you can weave it into your letter of intent. You should state clearly how your presence will contribute to the overall program and the skills, hobbies, and qualities you can bring to play to improve the institution. You should make reference to your weakness but only mention the ones you can create a positive twist from and not one that will have an adverse effect on your residency application. It should focus on the improvements you have made with regards to your weakness. Do not try to impress the committee as they will likely see through it. Spend a greater portion of your letter of intent talking about how your skills and achievements can impact on the institution positively. Our professional writers have spent several writing hundreds of letters of intent for residency programs across several institutions. Added to decades of experience we possess advanced degrees in the medical fields and can deliver top-quality written letters to help secure your admission into the residency program. With so many years writing and editing content, it takes close to nothing to spot errors with grammar and other unwanted materials to make your letter stand out. Our team of editors manually checks your work for errors with spellings and grammar before using premium checker tools to eliminate any further word error. Also, because we have a clear understanding of what the requirements for your paper, we strive to arrange your work in the approved format for your institution. 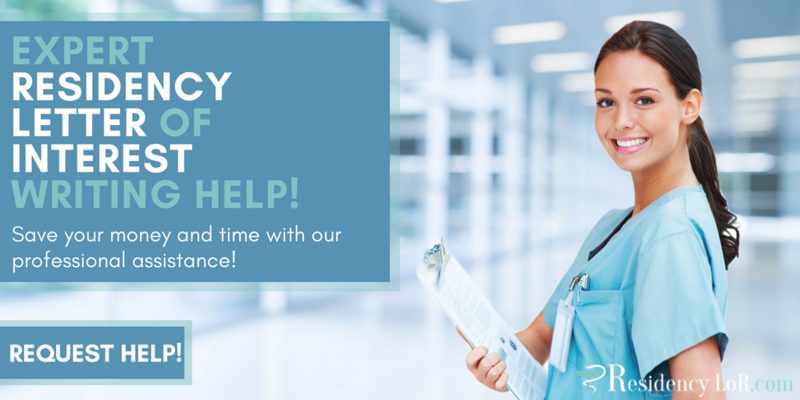 Contact our professionals to get your perfect residency letter of interest today!